There is enough budget for the implementation of National ID System. Davao City Representative Karlo Nograles, chairman of the Committee on Appropriations confirms after his committee approved the proposed funding requirement for the measure. 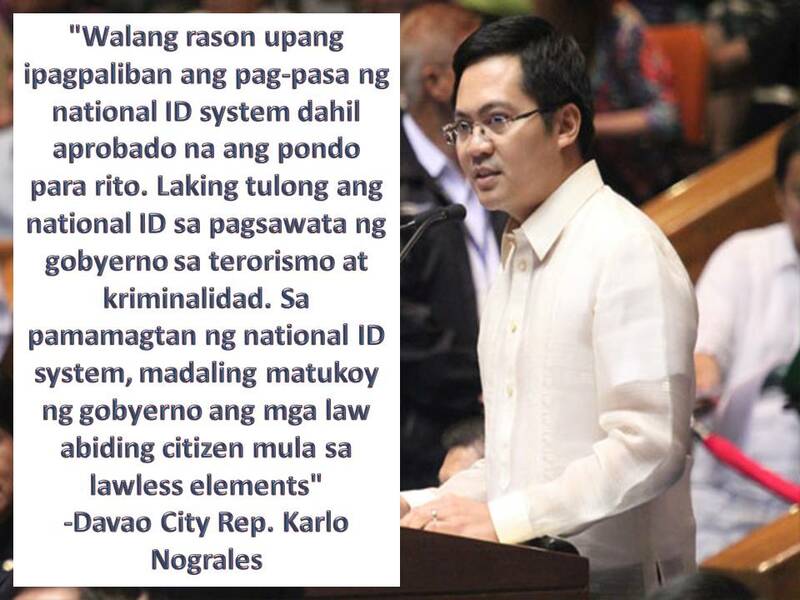 Nograles said, there is no reason to delay the passage of the national ID system. Because the fund is already allocated. He believes that National ID system will help government's action eliminating terrorism and criminality. He added through National ID system a government can identify law abiding citizen from lawless elements. It can be used in all government transaction, such as an application for a passport, driver's license, etc. Initial application will be free but a cardholder shall pay the replacement. This will be done in every municipalities and city nationwide. For Filipinos residing or working abroad, they can register and get their Filipino ID in embassies and consular offices. 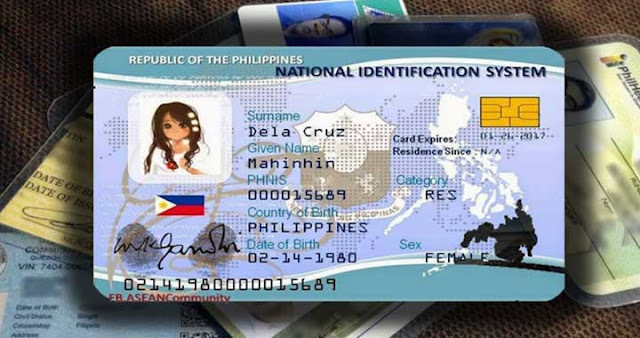 Just like any IDs, the Filipino ID card will contain on its face the imprinted photograph, name, birth date, gender, and corresponding common reference number of the individual. Under the bill, the Philippine Statistics Authority (PSA) shall implement and oversee the registration through the Local Civil Registry Office (LCRO).